Macy’s Deals! 4 Piece Luggage Set for $58! Dish Set for $11! 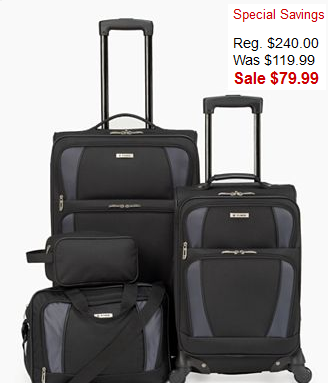 The $240 4 piece luggage set shown above is on sale for $79.99. 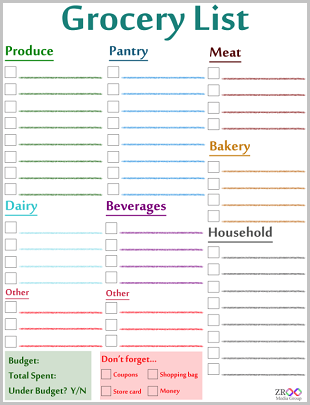 Use code HOMETWENTY and get 9% cash back by clicking through this ShopAtHome link to make this a net cost of $58.23! That's $180 off of the regular price! There are also TONS of very nice dishes in the sale/clearance section. You can use the HOMETWENTY code on those items too! 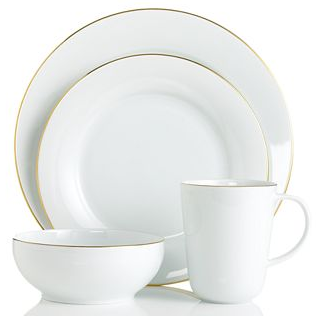 Also check out this Charter Club 4 piece set ($60 regular price) for just $10.90 after coupon code and cash back! This was under the clearance section. The thin gold rim makes these great for entertaining! Get dishes for 12 for around $30! Can't beat that! *Your best bet is to hit $99 on your order to score free shipping. Go here to start shopping with your 20% code and 9% cash back!